Nowadays, the laminate floor is getting more popular. Laminate the floor will give an elegant look to your house. The printed motifs of laminating floor may come in various designs. Besides its affordable price, having the laminating floor has many advantages. You don’t need to clean hard because most of the types of laminate floors are easy to clean and maintain. They are also resistant to scratches, heat, and burns. Are you considering suitable the type of laminate floor for your new house? There are many choices of the laminating floors you may consider. Let’s take a look at the details of 15 types of laminate floors. Using pre-glued laminate flooring for your house seems quick and easy. Before doing the installation, you need to dampen the edges of the tiles or planks to make the glue work. Another purpose of dampening the edges is to join the planks or tiles together. Put the glue on each edge of the planks. Do the instruction of the installation carefully. When it comes to the installation of glued laminate flooring, you need to glue the joints of planks or tiles together. This type of flooring has strong durability once it is installed. The function of putting on the glue to the joints is to prevent the damp from seeping into a joint. The glue will get into the core, where two laminate flooring planks or tiles join together. One of the recommended types of laminate flooring is glue-less laminate flooring. This type of flooring is considered the best laminate flooring. Many people choose this because the installation is quite practical. Also, as the name implies, the installation of the flooring does not need the glue to stick the planks or tiles. One of the types of flooring is underlayment attached laminate flooring. This laminate floor comes with glue-less plank or tiles with an underlayment. You need to apply the pre-attached underlayment that requires a separate underlayment. You can buy this laminate flooring with separate underlayment as one of the best options. Try this satin or smooth finish laminate flooring. This floor will have a shiny appearance. It will look more luminous when the light hits the floor at the right angle. The planks or tiles look like marble and ceramic. This satin finish floor is more durable and easier to clear. Dare to be different? You can install matte finish laminate flooring for your house. This floor has durability and is resistant to the dents, scratches, wear, and tear. This matte finish floor possesses more great features such as appearance, maintenance, thickness, and cleanliness. It is easy to install, too. Natural wood finish laminate flooring gives the authentic wood style look like. You can choose walnut, oak, or pine motif for the laminate wood flooring. This typical floor features smooth surfaces to sophisticated textures. It is also durable and hard-wearing. Using this to be your floor in your new house will create a cozy atmosphere and also boost the perfect decoration in your house. If you are looking for the heat-sensitive polymer materials, you can try the embossed laminate flooring. This typical floor will accentuate the natural wood grain appearance. Embossed laminate flooring came with embossed/textured and embossed in the register (EIR). The embossed has non-matching texture to the grooves of the printed grain. Meanwhile, embossed in register matches the printed grain so it gives the natural look. One of the laminate flooring styles is high gloss/piano finish laminating flooring. This type gives a shiny, elegant look finish to the floor. Also, this floor will completely mix with aluminium oxide as the décor layer and offer great durability. If you adopt the modern interior to your new house, this laminate flooring is the right choice. One of the types of laminate floors is stone laminate flooring. This slate laminate floor appearance accentuates the attractiveness of the genuine stone. This floor comes with unique textures, rich colors, variation, indentations, dimensional depth, and ridges. This floor will match your interior design with the natural-looking floor. This looks like tile laminating flooring comes with the planks. The planks come with different size. The appearance of the floor looks like the ceramic. This floor features smooth and high gloss. It is water resistant and is easy to clean. If you want to boost the natural wood appearance, you can install looks like wood laminate flooring. This flooring has thin layers of solid wood. The solid wood is completed with an upper layer of wood veneer and acrylic finish. This type of floor is durable and tough. This floor also has various wooden design and thicker planks. Compared to other types of laminate floors, looks like the plastic laminating floor is less popular. 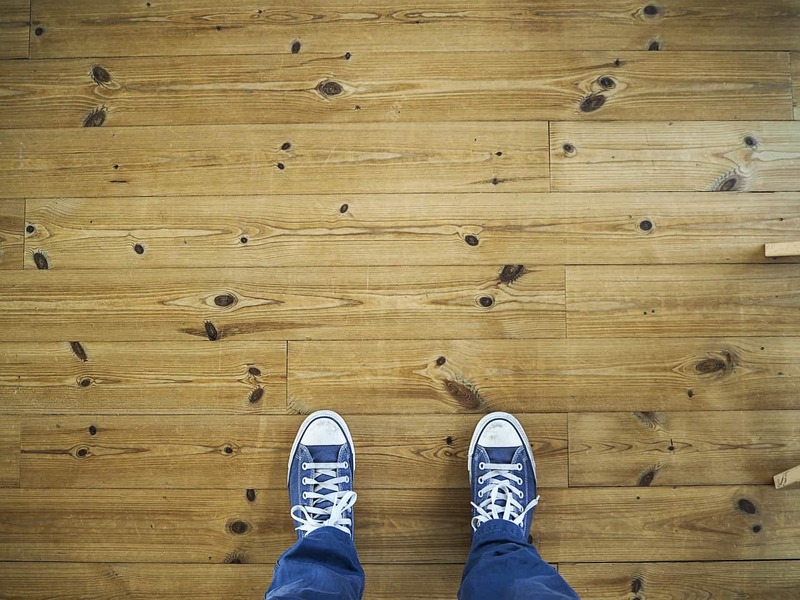 Even though it is less popular, this type of floor can add the versatility to your house. This floor is made from fiberboard. It comes with many different plastic laminating flooring designs. You can choose your favorite motif and design. Avoid using this floor to the bathroom because it keeps a large amount of damp. This hand scraped laminate flooring comes with the engineered or solid hardwood floor. It gives the unique and antique finish laminate flooring. This type of floor also has the grains and indentations that look like a natural wood floor. One of the most durable laminate flooring is the premium collection from AC laminate flooring. AC aka Abrasion Class has its own rating. You can use the AC rating to be your ideal guide for choosing the most durable AC flooring. AC sets 5 different categories regarding use and durability. The durability is based on the foot traffic and expected usage. The higher the AC rating is, the higher the price is. In conclusion, these 15 types of laminate floors will give you an idea which laminate floor will fit your house interior design. You need to read the details on the shape, material, size, texture, design, and motif.